London Fashion Week 2012 (LFW) just closed its doors after five days of exciting and creative activity, with new fashion collections being presented to buyers for the Spring / Summer 2013 season. 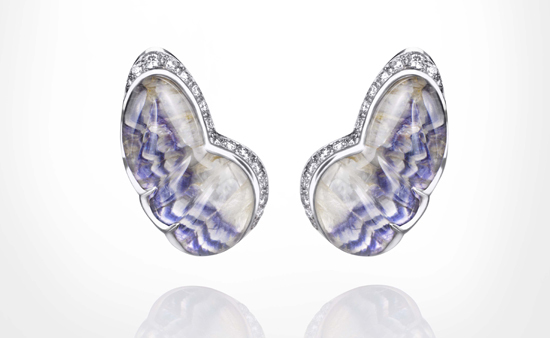 For the second time, the Rock Vault at LFW also showcased some of Britain’s most innovative, fine jewellery talent. 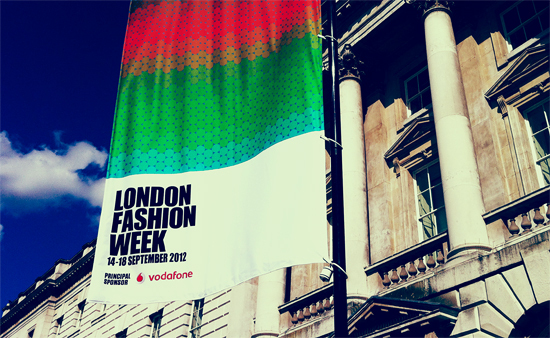 This week, it was located in the West Wing of Somerset House, at the heart of London Fashion Week, between the 14th to the 18th of September. Exclusively for the event, a dozen leading jewellers were invited to design a unique ring using the precious metal palladium with the support of the International Palladium Board. The selected designers were Alexandra Jefford, Fernando Jorge, Hannah Martin, Hillier, Husam El Odeh, Imogen Belfield, Jo Hayes Ward, Jordan Askill, Melanie Georgacopoulos, Sophie Bille Brahe, Tomasz Donocik and Yunus & Eliza. The palladium rings were displayed in the entrance of the Rock Vault to welcome, and even entice, some of the 5,000 visitors of London Fashion Week into the vault. 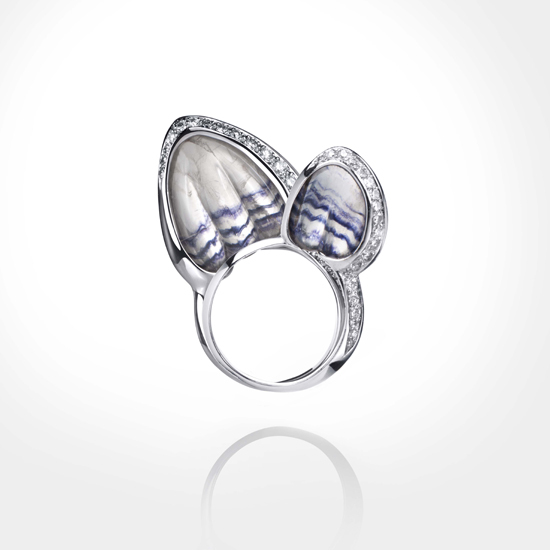 Our personal favourite was Fernando Jorge's beautiful butterfly inspired ring and earrings, displaying a traditional British mineral gemstone called Blue John. Amongst the main collections, Fernando Jorge also exhibited his new 2012 collection Green Series as well as some of his latest designs. Brazilian-born Fernando uses gemstones and craftsmanship native to Brazil and the Green Series sees his signature style evolving with its fluid lines and elegantly cut gems. 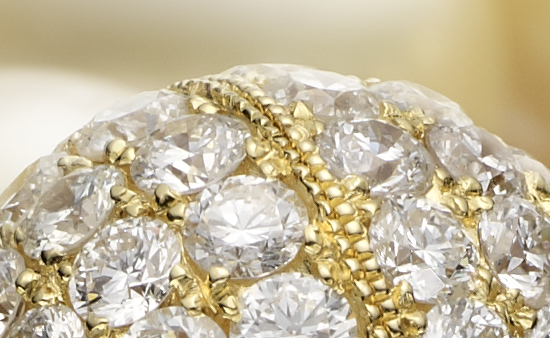 His pieces are available in limited editions as each gemstone is unique and the collection effortlessly conveys a sense of beauty, sensuality and opulence. On the catwalk this year at LFW, the main fashion brands brands introduced their new SS 2013 collections with jewellery that ranged from the bold and colourful, to the more classic. 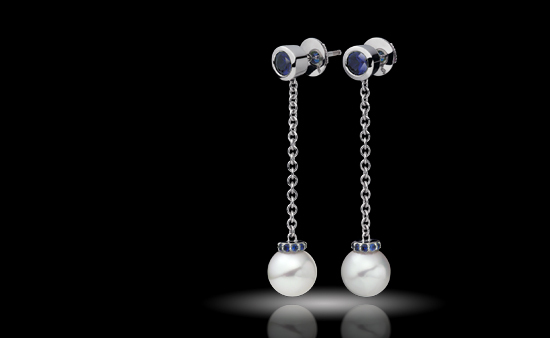 Vivienne Westwood complemented her trademark edgy British fashion style with pearl necklaces on the catwalk, worn in single, double and elaborate multiple strands, sometimes with the hint of an occasional pearl drop earring.